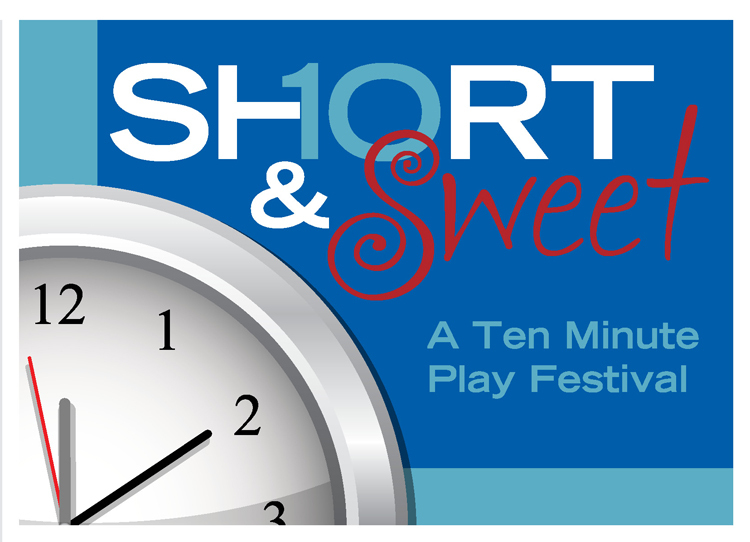 On April 18, “Short and Sweet: A Ten Minute Play festival” opened at the H.B. Atkinson Theatre for a four-night run. Although it was free to attend, as it is for all students and seniors, it would have been well worth the cost of admission, plus some. Six plays, written, directed and performed by students take the audience on a faced-paced journey from serious issues facing American youth to hilarious satire. “Dreams”, written and directed by Rena Vann, stars Mikki Kendall as Ella, an overweight and very talented actress that beats out her less talented, but skinny, competition for a lead role. Amy Lilly plays antagonist Jane. This play was heartfelt and well written. “Don’t Forget The Tip”, written and directed by Kim Wasinger is hilarious. What at first seems like two girls, played by Kara Dore and Bryanna Hays, on a road trip quickly turns into a plot to kidnap the waiter, played by Jake Searock, and murder him. The writer did an excellent job of keeping the audience guessing what the girls were doing until the very end. “The Solace of a Neighbor”, written and directed by Greg Crall, was another piece taking on real world issues. While suffering a panic attack, Sarah, played by T.K. Morrison, asks God for help. He sends it in the form of crazy neighbor Larry, brilliantly acted by Richie Rayfield. Rayfield’s Larry reminds me of Heath Ledger’s chaotic Joker, minus the evil psychopath part. “To Videodrome, With Love”, written and directed by J.W. Morgan, follows two friends, played by Thomas Patrick Boyle and Sally Van der Veer, on a murderous plot to eliminate Videodrome’s screenwriter, Fisher, played by D’Vonte Stewart. They blame Fisher, and others like him, for the dumbing down of American cinema and they aren’t going to let him ruin Videodrome. In the end, the successful murder leaves the assailant remorseful, crying over the dead body, realizing murder may have been a bit drastic. The writing was good, but the F bomb was dropped repeatedly and lessened the powerful message. The Hispanic Student Association hosted their annual Hispanic Heritage Month Celebration, Sept. 27 in the Campus Mall. The event consisted of a taco bar, music from Alegria Real and a salsa cook-off, as well as a panel of those affected by the Development, Relief and Education for Alien Minors Act who discussed how it affected other’s lives. The play runs from Oct. 27 – 29 with a 2 p.m. matinee on Sunday Oct. 30. Tickets are $5 for the public and $3 for students, however there was a dinner theater special on Oct. 27 at 6 p.m. tickets were $23 with a $3 discount for senior citizens. Prior to the shows premiere the actors prepared for opening night. “For pre-show rituals, basically I just drink a lot of water, do some stretches, and recite silly tongue twisters such as “The Arsonist has oddly shaped feet” and “Rubber Baby Buggy Bumpers.” Garrett Haley, who played Mr. Gabriel Utterson in the production, said. Haley also mentioned that the best way to put aside those pre-show nerves is to simply tell yourself to get over them and move on. And that is just what the cast did. They made it through all the practices, worries, customs, and stage drama to ensure sure the show went on.